So, you know when you just have a great storytime, and the kids are in to it, and everything works out as planned….that was this storytime. Don’t you love it when that happens? Hallelujah! I was so worried that Sharks were going to be too scary…children would cry…parents would complain….etc. Nope. They loved it. I guess it’s kinda like dinosaurs. Kids love sharks. 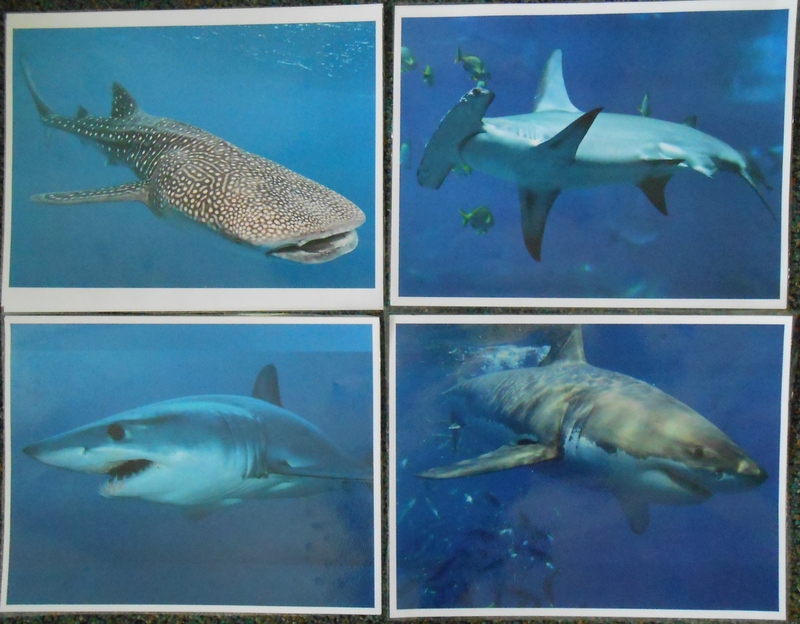 I printed out some pictures of different sharks with a few “fun facts” on the back of each one. I heard a few adults in the room say “wow…really?….did you know that?” when we were going over the facts. So this was enjoyed by all! The fingerpuppets come from Repeat Crafter Me. Sarah provides instructions and a template! So cute! Come back Leonard, come back Lee! Chomp, chomp, Dorothy. Chomp, chomp, Dave. Swim away Dorothy. Swim away Dave! This book is a retelling of “The Three Little Pigs,” but the Little Pigs = Little Fish and the Big Bad Wolf = Big Bad Shark. I found the idea for adapting this book at Mel’s Desk – you can read all of her instructions here! I didn’t make my own artwork like she did though. I took a shortcut and photocopied pictures from the book and glued them onto blue paper. Here’s what it all looked like…. Mama Fish tells her three little fishies that the time has come for each of them to make their own home. So off they go into the deep blue sea. 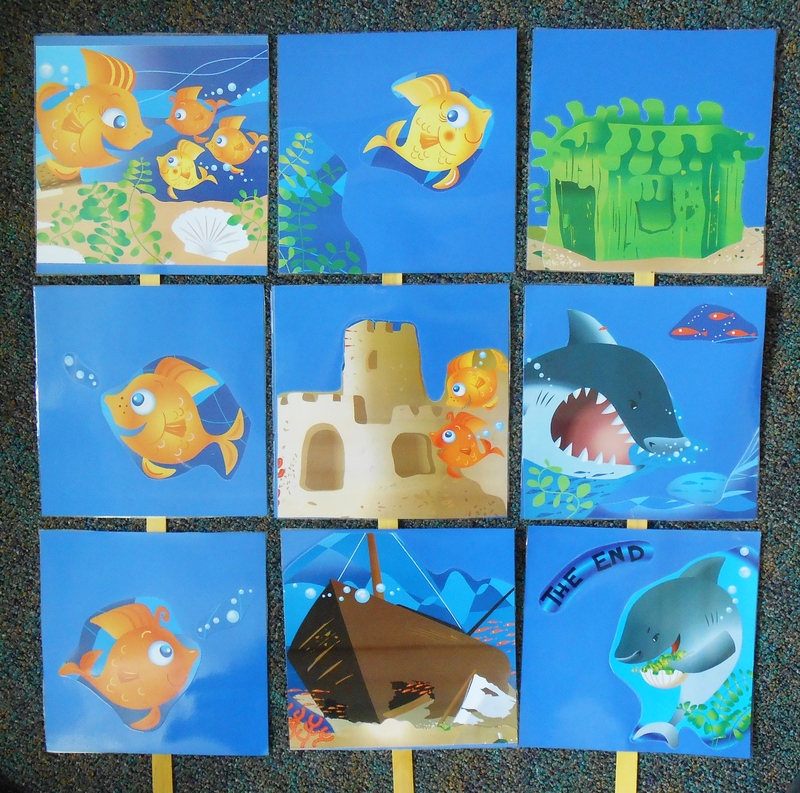 The first little fish makes his house out of seaweed, but the Big Bad Shark comes knocking at the door…. Shark: “Then I’ll munch and I’ll crunch and I’ll smash your house in!” The Shark munches his house and the little fish swims off. 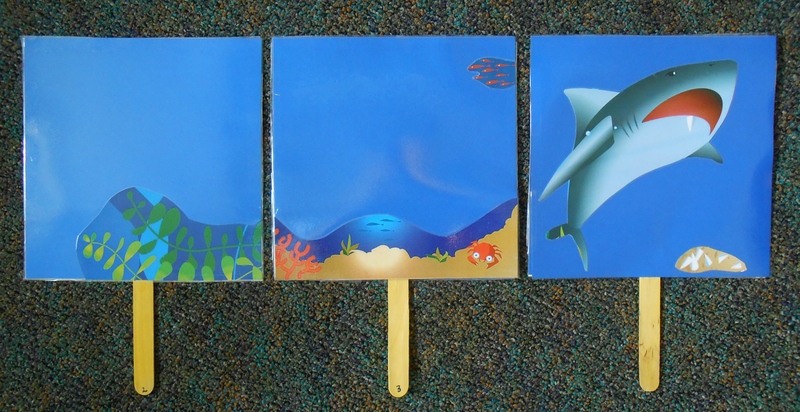 The second little fish makes his house out of sand, but the Shark comes knocking again and munches his house. The third little fish is clever. 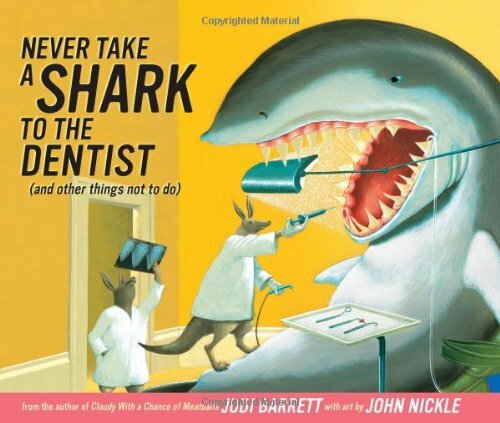 She makes her house in an abandoned ship, and when the Shark tries to munch her house…all of his teeth fall out! Without any teeth, Sharky has to eat seaweed from now on. And the three little fish live happily ever after. The pictures of the houses made from seaweed and sand are made to flip over. Here’s the front of the first two houses, as well as the Big Bad Shark. 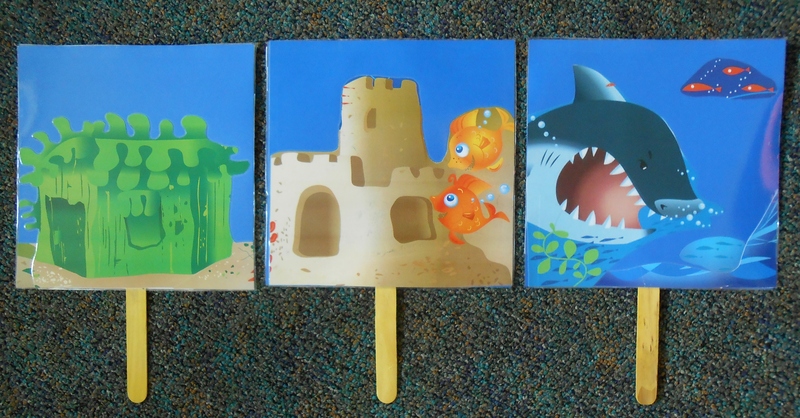 Here’s the flip-side of the seaweed and sand houses once the shark has eaten them, and here’s Sharky with no teeth! One shark in the bathtub going for a swim. Five sharks in the bathtub going for a swim. If you print this, I made this flannel to fit on a legal size (8.5 x 14) piece of paper. A pop-up! 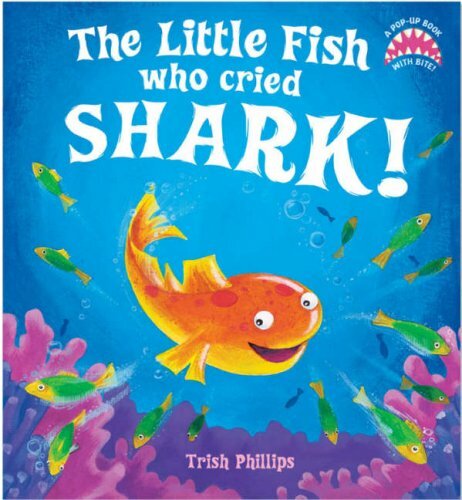 This one is a retelling of “The Boy Who Cried Wolf.” In this version, a naughty little fish named Sprat thinks it’s funny to scare all of this friends by yelling “Shark!” The text rhymes, but it can be a little dense for young ones. It works to tell this one in your own words with each pop-up page. The pictures and pop-ups are awesome – especially the large shark at the end! And(clap hands) SNAPS that fishy right out of the sea. This is made to print on 8.5 x 11 size paper – 3 pages. A coworker made this really cool shark using an empty baby wipe box. 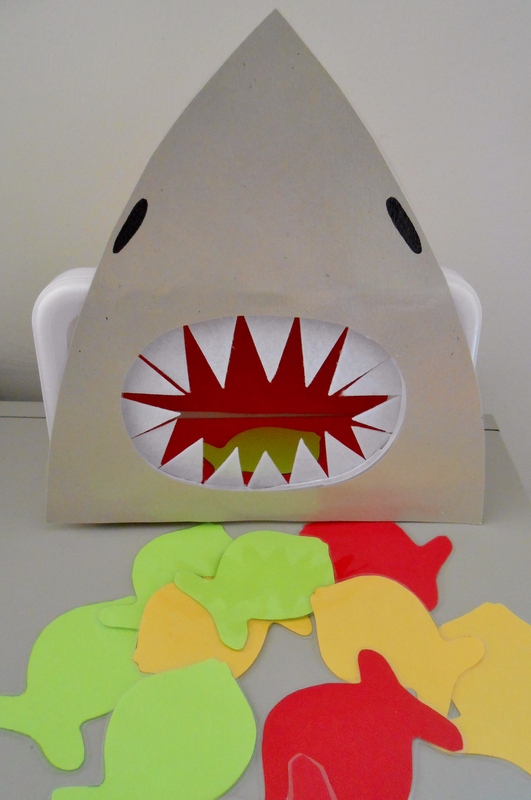 The idea comes from Toddler Approved, where Kristina made a giant size shark to feed! 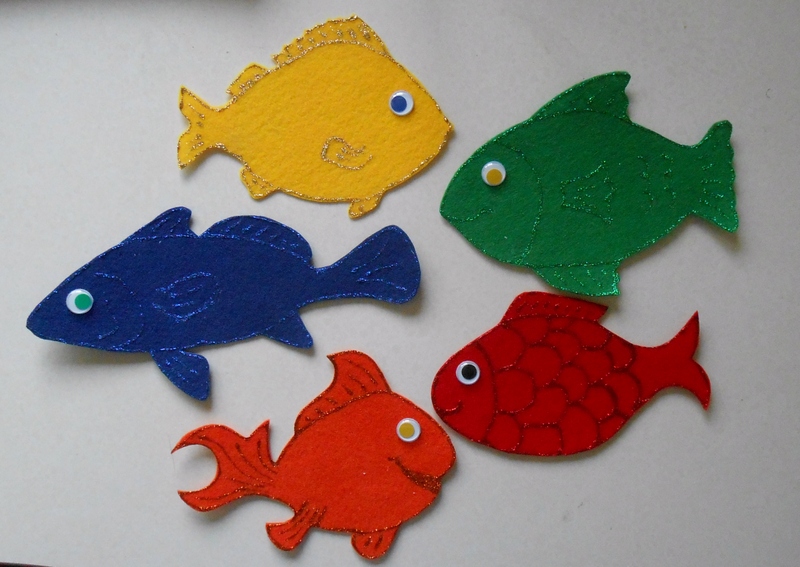 For this activity, I scattered the fish around the room and let the children “go fishing” to collect a few. Then I asked everyone with a red fish to come up and feed the shark…..everyone with a yellow fish…..and then everyone with a green fish. I also had a shark puppet that they could feed. I thought they might be scared, but they enjoyed feeding the puppet too! If I had had more time, I was planning to read this one in storytime too. I love this silly shark who isn’t afraid of anything….not shots, not scary movies, not dinosaurs, not bears……well, except there is one thing he’s afraid of. Spiders! (I might like this one so much because I can sympathize with this shark. Spiders are scary.) Shark’s facial expressions are perfect; you’ll laugh-out-loud with this one. Timothy Pope takes his brand new telescope to the park. But – oh my goodness – what IS that? Is that a shark in the park?! When you turn the die-cut page, you find out that it’s only the ear of a black cat…or a crow…..or dad’s coiffed hair. A fun rhyming story with bright illustrations. 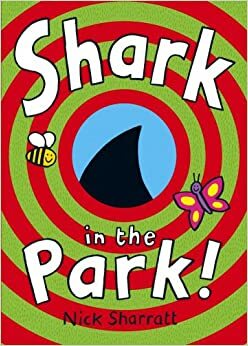 Sharratt also has a sequel called Shark in the Dark. It follows the same storyline as Shark in the Park – except that little Timmy is looking at the stars through a telescope. Note that it’s a completely different story than the book by the same title below by Peter Bently. 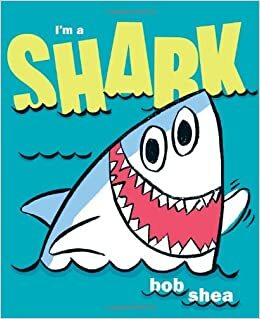 A great read-aloud with rhyming text, and filled with lots of fun facts about fish and sharks. The big, mean, terribly greedy shark wants to snack on all of the little fish in the sea. Will they be able to come up with a plan to out-wit the shark? Just as in the book Swimmy by Leo Lionni, the fish work together to form a giant whale to scare away the shark. 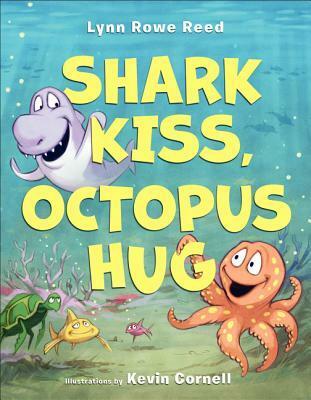 Review from Amazon: “Charlie the shark and Olivia Octopus were the best friends the ocean had ever seen. All Charlie wanted was a hug. Olivia desperately wished for a kiss. This is the story of how they both found what they were looking for.” A little bit long for storytime in my opinion, but it’s a sweet story that you could shorten when reading out loud. I love the new book Shark vs Train. So funny! I would love to know where you purchases the shark puppet? 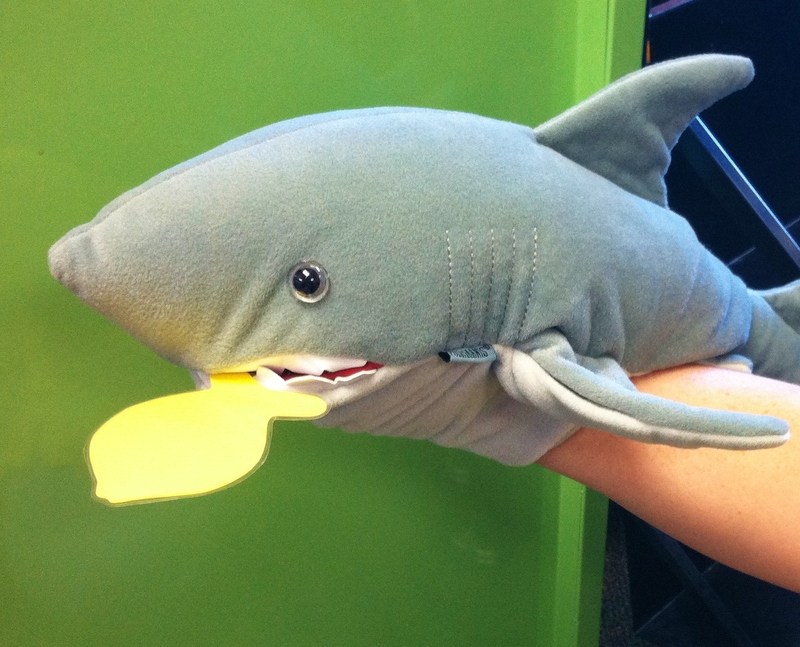 It’s a Folkmanis shark puppet. 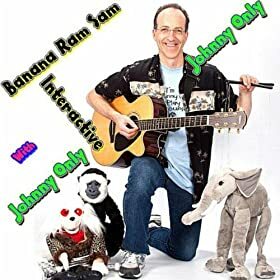 You can find it here on Amazon. Thank you so much for all the time and effort you go through to share these outstanding ideas with us. Much appreciated! Smiley Shark by Ruth Galloway. Ours is a board book but may come as a paperback. You’re right – it does come as a paperback! Thanks for the suggestion! The pout-Pout fish and the bully bully shark is a good book too! Thanks for the great book suggestion!